Military life is very rewarding and advantageous not only for the soldiers who serve our country but for the families as well. There are many opportunities to see different parts of the world, experience different cultures, and meet many people who become lifelong friends. The military life alternately can also be arduous at times for soldiers and their families with deployments, extended work hours, and frequent moves; however, with these challenges there are encouraging people and organizations along the way which help facilitate the lives of military families. My personal experience with military live has been exciting with all the new opportunities, specifically landing a job with Fort Hood National Bank, a bank dedicated to serving the military and their friends and family. We moved to Fort Hood Texas on our third PCS in November 2012 from Camp Merrill, the mountain phase of ranger school, located in the very small town of Dahlonega, Georgia. It was far away from the east coast and to such a big military base. Shortly after we moved to Fort Hood, I went to Fort Hood National Bank and started working as a teller. 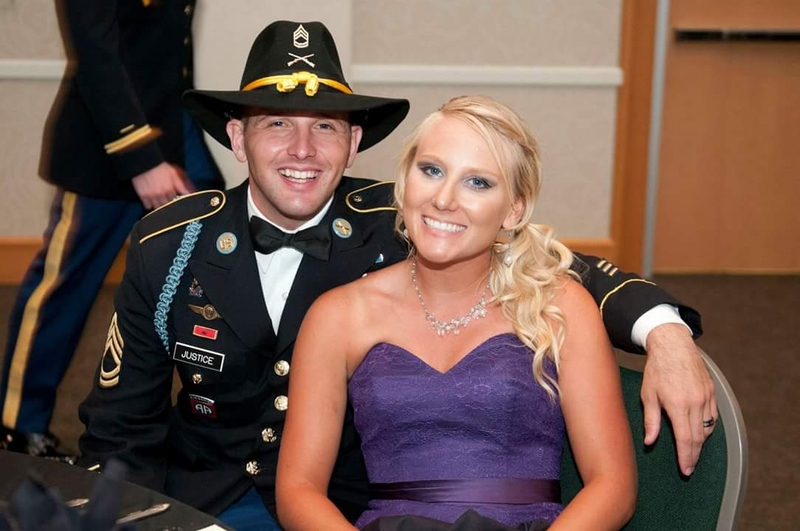 After I started working at Fort Hood National Bank I found out that my husband was to be deployed to Afghanistan for nine months. It was heartbreaking to find out but I had considerable support and help from my coworkers. From needing to switch shifts with other coworkers to encouraging words, I had reassurances knowing I could still work and be more at ease during the time away from my spouse just as the soldiers experience camaraderie during deployments, the bank had its own form of camaraderie. All branches, not just the particular branch I worked at, had people from all different backgrounds. This was greatly due to the military, which brought them to Fort Hood. With this diversity, everyone had a common denominator of being away from home and making a home and a family with the surrounding people. The customers at the bank were a pleasure to work with. It was satisfying knowing that I could help the customers and also get to know them on a first name basis. Many of our customers are military or retired military which allowed me to hear s some of their stories of their travels and experiences with military life. I thoroughly enjoyed hearing their stories and assisting them with their transactions. Connecting with customers enabled me and my coworkers develop a profound fondness and admirable relationship. This enhanced their and our own experiences at the bank. I left Fort Hood National Bank and came back twice, once after my husband left and I moved to South Carolina, and the second time because we thought we were going to PCS. I currently work at the branch on post and found new opportunities and friends. My husband is leaving for Korea soon, but I am confident in knowing I will be working for a great company and great people to aid in the difficulties with family separation. The military has given me a chance to experience a newfound love for Texas and all the different people I have met along the way who can assist in various military situations. Do you have a story to share like the one Bailey Justice shared?